This unique fresh-cut succulent can be sure that special guy will be looking sharp on his big day. 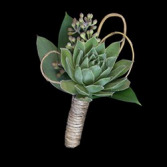 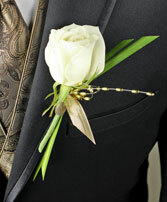 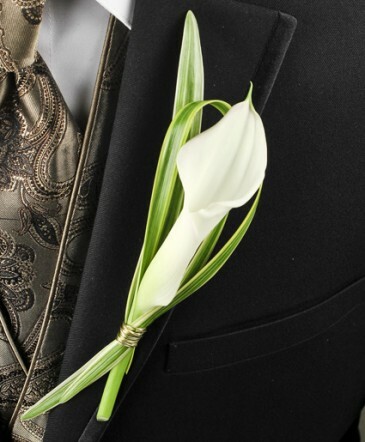 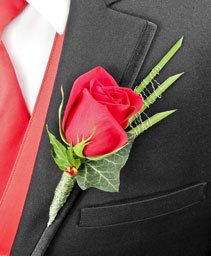 An inspired touch for proms, weddings or any elegant affair, each boutonniere is artistically handcrafted to make him stand out from the crowd. 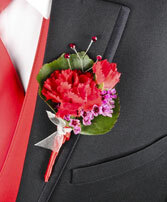 Gerber Daisy Boutinere! Choose your color! 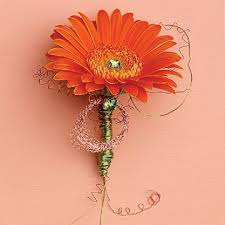 Gerber Daisies come in a variety of colors! 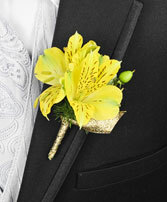 Specify your flower color and ribbon color at checkout. 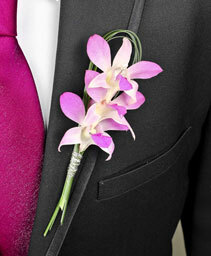 pink or lavender dendrobium orchids for an elegant touch! 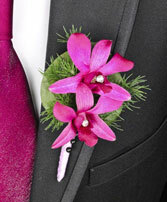 Magenta or purple dendrobium orchids for that elegant touch! 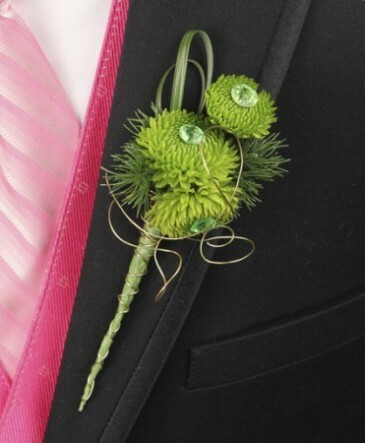 Gorgeous green button pom blooms with bear grass! Miniature carnations with sprigs of wax flower. 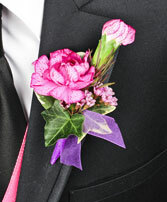 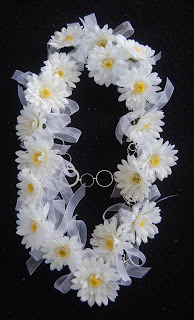 Specify flower and ribbon color at checkout.